Nan Ellin envisions great things springing from the integration of the School of Architecture and the School of Urban and Public Affairs. “When you bring architecture, urban planning, and public affairs together, the synergies are tremendous,” says Dr. Ellin, who began in January as founding dean of a new college formed through the merger of the two schools. 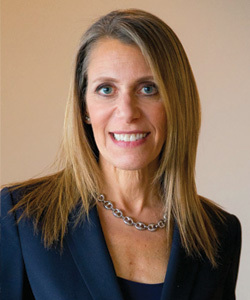 Most recently, she served as professor and chair of the University of Utah’s Department of City and Metropolitan Planning, where she worked with residents, community organizations, and city officials on The 9 Line project, an effort to convert a neglected railroad corridor into an urban amenity and trail system. Prior to joining the University of Utah, Ellin held a series of leadership positions at Arizona State University. She directed programs in planning and urban and metropolitan studies, as well as a doctoral program in architecture and environmental design. She shaped the vision for Canal-scape, an ongoing initiative to create urban hubs throughout the Phoenix area where canals meet major streets. She has written numerous articles and books, including Good Urbanism: Six Steps to Creating Prosperous Places, Integral Urbanism, and Postmodern Urbanism. “Dr. Ellin’s depth and breadth of experience bridges the disciplines of architecture, planning, and urban and public affairs, and will help position UT Arlington as a center for excellence in all aspects of sustainable urban development,” UTA President Vistasp Karbhari says.